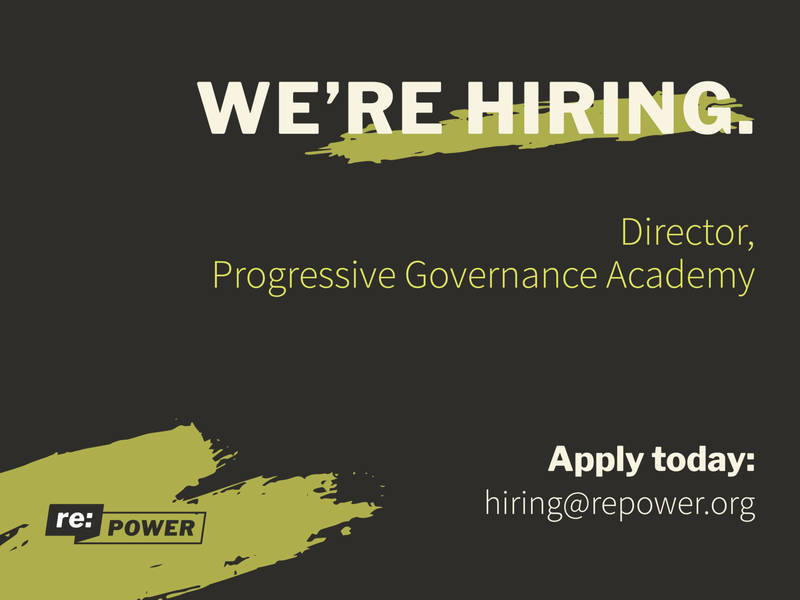 We are adding another role to our Program Team — Project Director for the Progressive Governance Academy. Learn how to apply below. Most local and state legislators lack the necessary resources to succeed — whether it’s dedicated staff, constituent response services, or tools to operationalize impactful public policy — all of which create a disconnect between elected representatives and the communities they serve. We can change this dynamic by training legislators to build the human and political capital necessary to make bold community change, which will have lasting impacts on public policy, electoral politics, and the entire political ecosystem in which they operate. 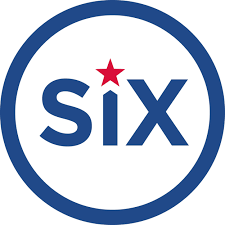 This is a two-year pilot project (2019–2020) and the Project Director, while based at and managed by re:power, will lead a complex and deeply aligned cross-organizational project between re:power, SiX and Local Progress. You will leverage our collective organizational resources in guiding this work: deep technical expertise in training and curriculum development, a network of the nation’s most progressive incumbent legislators and staff who can serve as trainers and mentors, and additional program staff who can provide a range of ongoing supports to local and state elected officials. Working with staff of Local Progress, re:power, and SiX as well as with local partners to perform needs assessments, build training plans and assign training teams, drawing on the network of elected trainers. Tracking overall goals and deliverables for the project and working to ensure all three organizations are on track. Ensuring each training is high quality, well planned and executed, and that learnings from the trainings are integrated into the overall program. Ensuring that participants receive additional support, peer and mentor connections, and in-depth support on policy and legislative work, working closely with Local Progress and SiX staff who will hold primary responsibility for post training support. Directly deliver trainings at the front end of this project, then transition to supporting the overall training team for the duration of the project. At least 8 years of combined experience in government, electoral, organizing, and/or advocacy work. Preference will be given to candidates who have experience working in more than one of these sectors. There is a strong preference for a candidate with the availability to fulfill the role as a full-time position (not balanced with other part-time or consulting responsibilities). We are seeking a candidate with the ability to work non-standard hours, including evenings and weekends, and travel extensively. This position is an employee of re:power and accountable to all three organizations (re:power, SiX, and Local Progress) for project delivery, coordination, management, and outcomes. Compensation for this position is competitive, with a starting salary of $95,000 annually. Benefits are comprehensive, with 90%-employer-paid health and dental insurance premiums for staff and their families; 100%-employer-paid life and disability insurance; exceptionally generous and flexible paid time off; 401k retirement benefits with a 4% employer match; FSA enrollment; 12 weeks of paid parental leave; 12 weeks of paid sabbatical leave; and much more. This is a grant-funded position with continued employment contingent on securing renewal funding in subsequent years, and the potential growth of the role to include fundraising responsibility after year one. re:power offers a lively and highly rewarding professional environment. This position can be located anywhere in the United States convenient to regular travel. This position is open until filled, and applications will be reviewed on a rolling basis. Please email your letter of interest and resume in a single pdf document to hiring@repower.org by April 22, 2019. Please be sure to specify Director, Progressive Governance Academy in your subject line. re:power is an equal opportunity employer. We’re also an organization that’s guided mostly by people of color, women and gender nonconforming folks, immigrants, and working-class people. We eagerly invite people of color, Native American and Indigenous people, immigrants, women, genderqueer and nonbinary people, LGBTQ people, people with disabilities, and others to apply for all open positions at re:power.